A business with thoughtful and up-to-date employment policies is a business that runs well, even when it faces personnel turnover and industry changes. If you're uncomfortable setting and enforcing employment policies, you may find your business in a constant state of confusion or crisis. Even worse, you could find yourself on the wrong side of the law, facing fines or court cases if your employment policies are not in compliance with recent law changes. 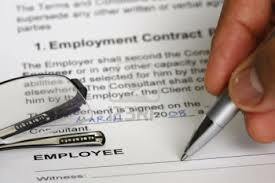 Let's take a look at three big mistakes that businesses make with employment contracts or policies. In the last year, the Ontario Court of Appeal made a ruling that could be very costly to employers who aren't paying attention. The court ruled that "employment agreements with a fixed severance term are not subject to an employer's implied right to deduct any mitigation earnings received by the employee during the notice period." If you're like many employers, you may have quite a few existing employment agreements that have fixed severance terms. If you want to be able to deduct mitigation earnings that were received by dismissed employees, you need to revise your employment agreements so they specify that severance payments are subject to mitigation. By making this simple change, you can avoid costly expenses in the future. Recent changes to laws regarding non-competition covenants could be costly to your business. Laws continue to change, and if you don't keep up on new and subtle nuances to the law, you could find yourself in a weak position. It's no secret that non-competition covenants are difficult to enforce, but you have a much better chance of success when you use non-competition covenants that comply with the courts’ freshest and most current tests. If your business employs more than 20 people, you need to pay special attention to AODA compliance. The AODA requires all organizations with 20 or more people to file a Compliance Report with the Ministry of Community and Social Services. This report confirms that your business follows all rules and regulations included in the AODA's Customer Service Standard. But that's not all. Even if your business just employs a single person (you), you need to create and implement an accessibility policy. This policy should include plans for disabilities that affect communication, benefit from the use of assistive devices, or require service animals. The policy should also focus on principles of equal opportunity, independence, integration, and dignity. Obviously, it's difficult to keep up with employment policies. You're busy trying to keep your business running smoothly. You have plenty to do with your daily tasks without trying to keep up with legislative changes that may or may not affect your business. A full service outsourced payroll firm can help you keep up with changes in employment policies so you don't have to. At The Payroll Edge, for instance, we ensure that our clients don't run into problems with employment contracts issues like severance plans, non-competition, and AODA compliance because we review their current policies and make updates if they're needed. And if you don't currently have an up-to-date employee policy, we can help you to become fully compliant with all government regulations. For more information about how The Payroll Edge can help you to avoid costly problems with employment policies, or for information on other payroll and business services, contact us. We'll be happy to discuss your business' individual needs and make a customized plan for you.